QUEENSFERRY, Wales The world’s richest corporations and finest minds spend billions trying to solve the problem of carbon emissions, but three fishing buddies in North Wales believe they have cracked it. They have developed a box which they say can be fixed underneath a car in place of the exhaust to trap the greenhouse gases blamed for global warming — including carbon dioxide and nitrous oxide — and emit mostly water vapour. Dubbed “Greenbox”, the technology developed by organic chemist Derek Palmer and engineers Ian Houston and John Jones could, they say, be used for cars, buses, lorries and eventually buildings and heavy industry, including power plants. 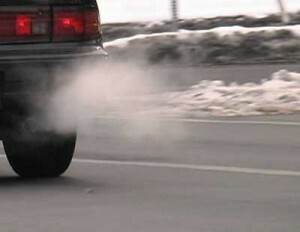 “We’ve managed to develop a way to successfully capture a majority of the emissions from the dirtiest motor we could find,” Palmer, who has consulted for organisations including the World Health Organisation, told. Although the box they currently use for demonstration is about the size of a bar stool, they say they can build one small enough to replace a car exhaust that will last for a full tank of petrol. The crucial aspect of the technology is that the carbon dioxide is captured and held in a secure state, said Houston. Other carbon capture technologies are much more cumbersome or energy-intensive, for example using miles of pipeline to transport the gas. “The carbon dioxide, held in its safe, inert state, can be handled, transported and released into a controlled environment with ease and a minimal amount of energy required,” Houston said at a demonstration using a diesel-powered generator. More than 130 tests carried out over two years at several testing centres have, the three say, yielded a capture rate between 85 and 95 percent. They showed the box to David Hansen, a Labour MP for Delyn, North Wales, who is now helping them. The inventors are also in contact with car-makers Toyota Motor Corp of Japan and General Motors Corp. of the United States. Houston said they have also received substantial offers from two unnamed Asian companies. Both Toyota and General Motors declined to comment. If the system takes off, drivers with a Greenbox would replace it when they fill up their cars and it would go to a bioreactor to be emptied. The captured gases from the box would than be fed to algae, which would then be crushed to produce a bio-oil. This extract can be converted to produce a biodiesel almost identical to normal diesel. This biodiesel can be fed back into a diesel engine, the emptied Greenbox can be affixed to the car and the cycle can begin again. The process also yields methane gas and fertilizer, both of which can be captured separately. The algae required to capture all of Britain’s auto emissions would take up around 1,000 acres (400 hectares). 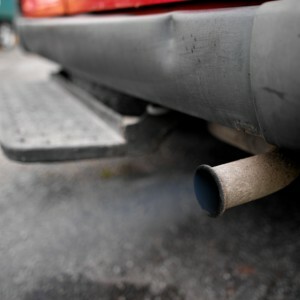 The three estimate that 10 facilities could be built across the UK to handle the carbon dioxide from the nearly 30 million cars on British roads. The inventors say they have spent nearly 170,000 pounds ($348,500) over two years developing the “three distinct technologies” involved and are hoping to secure more funding for health and safety testing. Not surprisingly, the trio don’t show anyone — not even their wives — what’s inside the box. After every demonstration they hide its individual components in various locations across North Wales and the technology is divided into three parts, with each inventor being custodian of one section. “Our three minds hold the three keys and we can only unlock it together,” said Houston. Why are exhausts of cars, lorries etc ‘bad’? Which chemicals are in there? Are these chemicals always ‘bad’? (=poisonous or harmful) or can they also be useful? Why are they especially ‘bad’ in big cities? What do algae do with these chemicals? Why algae, and not trees? It is a secret, but can you think what KIND of stuff there can be in the green box? Why do the inventors want to keep the secret to themselves? And Britain the project inside their country? What is the big difference of this system and hydrogen cars for the environment and the climate? Do you know other systems where the waste of one system is the resource for another system? Try to find at least 3! In nature waste is never wasted. Explain this.